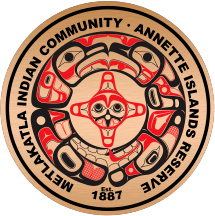 AIANTA’s membership is a network of tribal and industry leaders promoting and growing cultural tourism in Indian Country. AIANTA has members spanning the nation and beyond, and we are continually expanding our reach through strategic partnerships and new markets. Our members share and acquire knowledge from each other. Alaska Native Voices is owned by the Huna Totem Corporation. Its training programs play a crucial role in the growth and development of healthy tourism programs. Alaska Native Voices trains and prepares its Cultural Heritage Guides to provide memorable experiences and cultural insights to travelers. Glacier Bay is the ancestral homeland of the Huna Tlingit; Alaska Native Voices works to expand this tradition by sharing this connection to Glacier Bay through cultural interpretation. Native Cultural Heritage Guides work side by side with Glacier Bay National Park Rangers to provide broad insight to this immense landscape both aboard visiting cruise ships as well as ashore at Glacier Bay Lodge and at select sites in the nearby community of Gustavus. 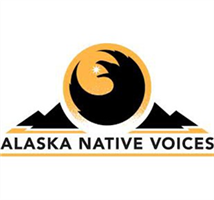 Alaska Native Voices shares agreements with Holland America Line, Princess Cruises, Lindblad Expeditions, Alaskan Dream Cruises and American Cruise Lines to provide cultural interpretation on board into Glacier Bay National Park. The Corporation operates the Jicarilla Apache Nation’s gaming and hospitality businesses. This includes the Apache Nugget Casino located 22 miles West of Cuba, New Mexico on Highway 550 and Wild Horse Casino and Hotel located in Dulce in beautiful Northern New Mexico’s scenic mountain desert. Operated to enhance the local economy and provide livelihood for members of the Jicarilla Apache Nation and the wider community, the enterprises are run in adherence to the core values fostered by the Corporation’s Board of Directors and the Legislative Council of the Jicarilla Apache Nation. The Jicarilla Apache Nation is known as a sportsman’s paradise, with over 850,000 acres of prime mountain habitat, where big game populations are managed strictly for trophy hunting opportunities and rivers and lakes are managed for great fishing experiences. Dedicated to telling the story of the rich history of Cherokee people, Cherokee Nation offers various cultural sites and attractions that allow visitors to follow in the footsteps of historical Cherokees and walk the paths they traveled more than a century ago. 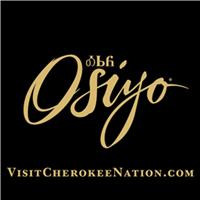 The welcoming spirit of Cherokee people can be felt wherever you set foot upon the tribe’s 7,000 square miles of natural beauty, historic attractions and world-class entertainment. Take a tour of Cherokee National Supreme Court Museum, the oldest government building still standing in Oklahoma. Visit Diligwa, a 1710 Cherokee village stationed outside of Cherokee Heritage Center. Indulge in cultural classes and take part in interactive exhibits and games. Uncover the secrets and startling facts that lie within numerous attractions. There is beauty and history all around you when you visit Cherokee Nation. 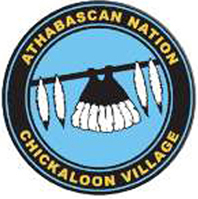 The Chickaloon Native Village’s Nurture the Land and People Project, Nay’dini’aa Na’ Hwt’aene Ughedze’ Xuk’anotta Nene, was established “To increase community knowledge about Ahtna Athabascan cultural practices.” The program will develop cultural sustainability and economic growth through development of Ahtna cultural tourism. The project will develop an Ahtna Cultural Resource Library, publish an Ahtna Cultural Education Book, and provide Ahtna cultural education events. statewide cultural tourism networks and a business plan for tribal tourism infrastructure development. The project will also provide cultural tourism trainings to increase the community’s capacity to provide tours and host visitors and will also complete a feasibility study and business plan for a hotel/conference center and cultural park. 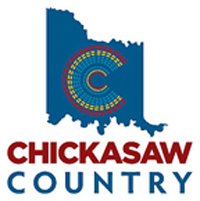 Chickasaw Country shares the beauty, wonder and excitement found in the 7,648 square miles in the 13 south-central Oklahoma counties that comprise the Chickasaw Nation. Explore the rich culture of the Chickasaw People and discover Native, historical and cultural attractions such as the Chickasaw Cultural Center in Sulphur, the Chickasaw White House in Emet and the historic Chickasaw Capitol in Tishomingo. Enjoy a day at the Chickasaw Cultural Center, one of the largest tribal cultural center in the United States. This state-of-the-art campus showcases live stomp dance demonstrations, interactive exhibits and galleries, as well as a living village and natural outdoor spaces to tell the story of the unconquered and unconquerable Chickasaw Nation. Visit the Chickasaw Cultural Center in Sulphur for live performances and multimedia exhibits that make tradition and heritage come to life. Native American art, history and culture are showcased at the Chickasaw Nation Welcome Center in Davis, the Chickasaw Visitor Center in Sulphur and the Chickasaw Nation Information Center in Tishomingo, as well as complimentary fresh brewed coffee, free maps and travel information. Looking for adventure, explore the Chickasaw National Recreation Area in Sulphur, where visitors can hike, bike, camp and boat at the historic National Park. Whether you are looking for entertainment, relaxation, adventure or small-town charm, Chickasaw Country invites you to #visitchickasaw any time of the year. “Chahta” is the name that Choctaw people call themselves. Choctaw homeland include what is now eastern Mississippi and western Alabama. Choctaw hunting parties began visiting what is now southeastern Oklahoma around 1800. With the signing of the Dancing Rabbit Creek Treaty in 1830, Choctaw families were forced to permanently move to this area. Visit historical sites, unique attractions, hiking, biking, boating, camping and festivals. Stop at the Choctaw Welcome Center, just north of the Oklahoma-Texas border on Hwy 69/75, and find art and cultural items made by Choctaw and members of other Native tribes displayed and available for purchase. Outside, see displays of the Choctaw traditional winter home, called an “Alaksha” and the brush arbor. Nearby is Spiro mounds site, located seven miles outside of Spiro, Oklahoma, is the only prehistoric, Native American archaeological site in Oklahoma open to the public. Choctaw has two beautiful casino resorts and six casinos at unique locations. 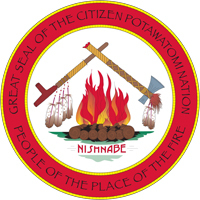 The Citizen Potawatomi originally occupied the Great Lakes region of the United States. Indian policies led to the eventual removal to Indian Territory (Oklahoma) and their headquarters in Shawnee, Oklahoma. Visit the beautiful Citizen Potawatomi Nation’s Cultural Heritage Center, which was built to educate tribal members, the greater Native American community and other visitors, about the historical and contemporary aspects of the tribe. The Gift Shop is your one stop shop for Native-made and Native-themed gifts, and Native craftwork supplies. Make an appointment to tour the Eagle Aviary which offers a permanent home to birds of prey rescued from the wild that have been injured and cannot be rehabilitated and released. Accommodations are available at the Nation’s Grand Casino Hotel & Resort, a premier destination minutes from Oklahoma City. The Resort offers four restaurants, gaming and entertainment. The FireLake Casino offers more exciting games and dining choices. The FireLake Golf Course is rated in the top 10 of daily fee golf courses in Oklahoma. 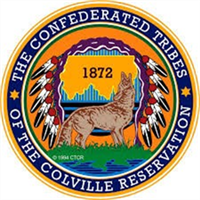 Colville Confederated Tribes consist of twelve individual tribes. Their reservation offers a vast variety of natural and recreational tourism. The reservation spans 1.4 million acres of North Central Washington, with lands bordered to the East by the Okanogan River and to the West and South by Lake Roosevelt and the Columbia River. The Tribes operate Keller Ferry Marina and Campground on Lake Roosevelt offering houseboat and boat rentals. Rainbow Beach Resort offers cabin rentals, RV services, fishing and paddle boat rentals. Attractions include the Grand Coulee Dam with its awe-striking laser light show during the summer months and nearby Lake Roosevelt Recreation area. The Omak Stampede and the world famous Suicide Race takes place in early August. The race features a 225 feet downhill sprint before crossing the Okanogan River and dashing 500 yards to the finish line in the Stampede Arena. The Colville Tribes assists with the Fort Spokane Visitor Center and Museum and three casinos. The Comanches were known as the Lords of the Southern Plains, renowned for their horsemanship. Their historic territory consisted of present day eastern New Mexico, southeastern Colorado, southwestern Kansas, western Oklahoma, and most of northwest Texas. Today, the Comanche Nation is located in Southwest Oklahoma. 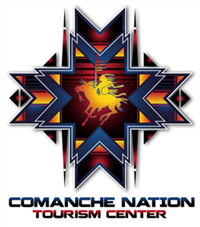 The Comanche Nation Tourism & Information Center shares the history of the Comanche Nation of Oklahoma. The center features exhibits, as well as American Indian arts & crafts. Guided tours and charter buses are available. Tribal history and culture come to life at the Comanche National Museum and Cultural Center (CNMCC) provides programs and exhibits on Comanche history, culture and fine art. The Nation operates the Red River Hotel Casino and three casinos in other locations. 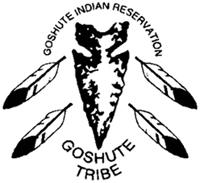 The Confederated Tribes of the Goshute Reservation is located in western Utah at the base of the Deep Creek Mountains. The Goshute Reservation is widely known for their premium elk hunting. Straddling both Utah and Nevada boards, the elevation ranges from 6,000 to 10,000 feet over land that varies from rolling mountains to steep, rocky terrain. The Confederated Tribes of the Umatilla Indian Reservation is home to the Cayuse, Umatilla, and Walla Walla peoples. The Tamástslikt Cultural Institute shares the storied past, rich present and bright future of the tribes through interactive exhibits, special events and a Living Culture Village. Stay at the Wildhorse Casino Resort or the Wildhorse Resort Tipi & Tent Village. Play 18 holes of spectacular golf, featuring beautiful lakes, long fairways and deep bunkers designed by legendary golf architect John Steidel. Or camp at Indian Lake for fishing and boating. Join the Tribes at the Legendary Pendleton Round Up where the Tribes host a grand tribal village that includes more than 300 teepees, and take part in the Westward Ho Parade, Happy Canyon Pageant and Round-Up Pow Wow dance competition. 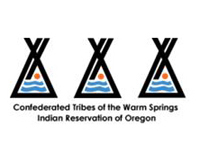 The people of the Confederated Tribes of Warm Springs are proud to welcome you to their home. Guests who wish to immerse themselves in the culture of Warm Springs can visit the Museum at Warm Springs or attend one of the many cultural events held throughout the year. They have salmon bakes, dancing, drumming, storytelling, and more. Whether you enjoy the exhilaration of biking and rafting or the quietude of hiking and fishing, they have it all. Visitors can also take advantage of Kah-Nee-Ta’s eighteen hole golf course, the Casino or relax in the mineral water spa, Spa Wanapine. 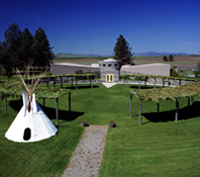 Accomodations at Kah-Nee-Ta vary from rooms at the Kah-Nee-Ta Lodge or the Kah-Nee-Ta Village, RV Park or teepee camping. For more information please visit their website below. 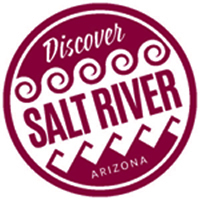 Experience the heritage of hospitality of the Akmiel Oodham and Xalchidom Piipaash in sunny Salt River, Arizona! The Salt River Indian Community is located 20 minutes from Phoenix Sky Harbor Airport and is surrounded by Scottsdale, Mesa and Tempe. The Community thrives on tourism and is home to the Talking Stick Entertainment District where guests can golf, indoor skydive, race electric karts, catch a spring training baseball game, walk among butterflies, swim with dolphins, enjoy Native American inspired spa treatments, and so much more! Home to Great Wolf Lodge, Talking Stick Resort, Courtyard by Marriott, Staybridge Suites and Hampton Inn, the Salt River Indian Community is the best place to stay and play in Arizona Indian Country! 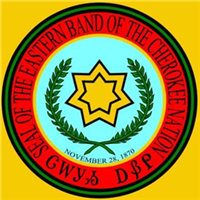 The Eastern Band of Cherokee, which is the only tribe in North Carolina that is recognized by the federal government, is located in western North Carolina in their traditional homelands. Cherokee offers activities, packages and itineraries that make visiting an affordable pleasure for all ages and interests. Visit cultural sites, and enjoy cultural festivals, camping, tubing, hiking, wading, biking, birding, waterfalls, watermills, a pioneer village, cultural attractions, nostalgic shops and motor lodges, family fun parks, petting zoos, more than 30 miles of untamed trout waters, the 18-hole Robert Trent Jones designed golf course, and Harrah’s Cherokee Casino and Hotel. For more information please visit their website below. The Fort Belknap Indian Reservation is the homeland of the Gros Ventre (Aaniih) and Assiniboine (Nakoda) people. Located in north central Montana forty miles from the Canadian border and twenty miles from the Missouri River. The Fort Belknap Reservation is part of what remains of these two nations ancestral territory that included all of central and eastern Montana, North Dakoda and along the South Branch of the Saskatchewan River in Canada. Island Mountain Development Group, the economic arm of the Fort Belknap Community Council, created the Fort Belknap Community Economic Development Corporation (FBCEDC) in 2014 as a local Non Profit working toward a variety of goals, including economic development. 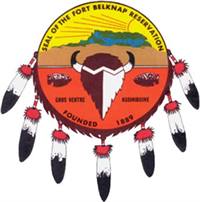 Discover Fort Belknap, the tourism arm of FBCEDC, offers a variety of historic and cultural tours. Accommodations include an RV Park or you can rent a Lodge (TeePee) or one of two cabins. 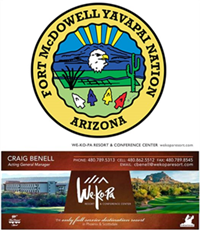 The Fort McDowell Yavapai Nation calls Central Arizona’s upper Sonoran Desert home. The Tribe owns 24,000 acres in northeastern Maricopa County 35 miles from Phoenix. The Fort McDowell Yavapai, the “Abaja – the people” are one of three Yavapai tribes in Arizona. The Yavapai are among the Yuman-speaking peoples, which also include the Hualapai, Havasupai, Kumeyaay, Pai Pai, Cocopah and other Southwestern tribes. The nation owns/operates the AAA Four Diamond We-Ko-Pa Resort & Conference Center 20 minutes from the Phoenix Sky Harbor International Airport, WeKoPa Golf Club, Fort McDowell Adventures, with Pink Jeeps and Stables, and other adventures, Poco Diablo Resort and Fort McDowell Casino. Buffalo Thunder Resort and Casino is located and operated by the Pueblo of Pojoaque just north of Santa Fe, New Mexico, conveniently located just 15 minutes north of the Santa Fe Plaza, 60 minutes south of Taos, and 75 minutes north of Albuquerque. The architecture and design of the building reflect the artistic vision of the Tribe’s leadership. Art from Native contributors statewide, and from many different Pueblos, are displayed proudly throughout the casino, a museum-quality collection with its own curator and worthy of studied perusal. The AAA Four Diamond resort is home to Towa Golf Club, named “North America’s Best Golf Hotel 2015” by World Golf Awards. The Resort includes 66,000 square feet of versatile meeting space, Towa Golf course and Clubhouse with three independent nine-hole courses, the luxury Wo’ P’in Spa, Vegas style gaming, the award winning Red Sage Restaurant and unique and luxurious lodging and accommodations. Rising like a glass tower over the desert, Isleta Resort & Casino reaffirms the romantic perception of the American Southwest, as a sublime landscape with spectacular vistas and geological wonders. The Resort and Convention Center that offers luxurious accommodations and includes 12 individual meeting rooms and ballrooms that can be configured to accommodate parties of any size. The Resort includes a spa, a family fun center, golf club at the edge of the spectacular Bosque along the river banks of the Rio Grande, and nearby Isleta Lakes & RV Park providing year-round fishing. 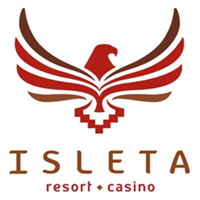 More than a world-class travel destination, Isleta Resort & Casino is a lush oasis, high in the desert, above the crowd and beyond compare. Kodiak Island’s rich geologic history is evident in the dramatic peaks, deep fjords, and emerald valleys. The Karluk Lake Basin is the ancestral home of the native Alutiiq people and the place where the Kodiak bears live in the untarnished environment as they have for millennia. The Kodiak Brown Bear Center, owned by the Kodiak-area Regional Native Corporation Koniag, Incorporated, offers a unique and one-of-a-kind bear experience. They host “world renowned” guided bear viewing experiences, from late July through September. Visitors can stay in modern guest cabins. Group sizes are limited to 6 at a time, so visitors can see have exclusive access and see the bears up close and personal in their natural setting with minimal human interference. All staff have intimate knowledge of the island, its plants, animals, history and Native Alutiiq culture, which results in bear viewing at its best, with the fusion of thousands of years of traditional Alutiiq wisdom with modern scientific knowledge. A picturesque Native Village located on Kupreanoff Island in southeastern Alaska, Kake is home to a Tlingit tribe who have fished and hunted the area for generations. Home to the world’s tallest one-tree totem pole, Kake’s surrounding waters are rich with halibut and salmon making it a world-class destination for anglers and a prime spot for whale watching and Black Bear viewing at low tide. Spend the night at Keex’ Kwaan Lodge, which offers amazing views and great hospitality. 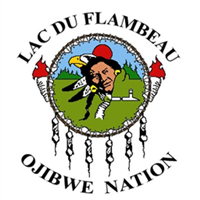 The Band acquired the name Lac du Flambeau, or Lake of the Torches, from its practice of harvesting fish at night by torchlight. Lac du Flambeau lands encompass 260 lakes, 65 miles of streams, lakes and rivers, and 24,000 acres of wetlands. The lakes and waterways are regularly restocked by the Tribal Fish Hatchery. The Resort Casino’s lakeside setting offers all the comforts of home, as well as incredible views of the picturesque Northwoods of Wisconsin. The George W. Brown, Jr. Ojibwe Museum & Cultural Center offers one of the most complete collections of Lac Du Flambeau history, seasonal workshops, interactive exhibits, cultural programs and a world record sturgeon. The Waaswaaganing Indian Bowl has offered artisans and historians a place to showcase the best in Native American artistry and traditional cuisine since 1951. Chartered in 2012, the LDF Business Development Corporation began to develop other revenue streams. Secluded on the Alabama-Coushatta Indian Reservation in the Big Thicket of East Texas, Lake Tombigbee Campground offers a peaceful and scenic opportunity to visitors. Bring your family and friends to RV, camp or stay in one of the air-conditioned log cabins around beautiful wooded 26-acre Lake Tombigbee. Enjoy fishing, swimming, boating, hiking or just relaxing. The campground provides sites for tents, full RV hookups, furnished cabins and teepee rentals. There is a covered pavilion and stage for gatherings, restrooms and bath houses, fishing piers, paddle boat rentals and a swimming area. The Yakama Nation was established through the Treaty of 1855 and is made up of 14 Tribes and Bands, which include the following: Palouse, Pisquouse, Yakama, Wenatchapam, Klinquit, Ohce Chotes, Kow Was Say De, Sk’in-pah, Kah-miltpah, Klickatat, Wish Ham, See ap Cat, Li ay Was and the Shyiks. Located in southwestern Washington State, Yakama Indian Nation is bordered by the Yakima River which flows southward from the majestic Cascade Mountains to the Columbia River. Legends Casino Hotel features 200-rooms, a conference center, 5,000-square foot spa and buffet restaurant., giving visitors a chance to stay and visit the reservation. Nearby is the Yakama Nation Cultural Heritage Center with a Museum, Gift Shop and Theater. Opened in 1980, the Museum collects and protects the items that promote and preserve the Yakama Nation culture, the Heritage Inn restaurant and Yakama Nation RV Resort Park. Mescalero were essentially nomadic hunters and warriors, dwelling at one place for a temporary time, roaming freely throughout the Southwest including Texas, Arizona, Chihuahua, México and Sonora, México. 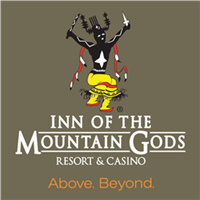 The Mescalero Apache Tribe owns and operates both the Inn of the Mountain Gods Resort and Casino and Ski Apache Ski Resort, as well other Reservation-based enterprises. The Inn of the Mountain Gods offers first-rate golf with a course rate 35th best in the nation by Golf Week Magazine and the casino features Las Vegas-style gambling. The Mescalero Tribe’s mountainous lands present exciting opportunities for outdoor adventurers. Hunting, fishing, hiking, clay shooting and biking opportunities are found throughout the area. 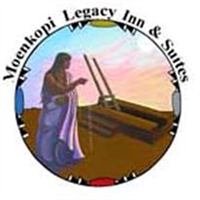 The Moenkopi Legacy Inn & Suites is located across the street from Tuba City, Arizona at the Western Gateway to Hopi. It is the first hotel built on Hopi tribal land in 50 years and was the inspiration of the Elders of Upper Village of Moenkopi. It was their vision that their village should be a place of welcome and gathering for visitors to the land of the Hopi. The Hopi Villages are among the longest continuously inhabited places in North America. Visit Hopi Villages, meet artists in their home workshops, enjoy unique Hopi food, and meet some of the friendliest people in the world – the Hopi people. For more information please visit their website below. Muckleshoot Indian Tribe is composed of descendants of the Duwamish and Upper Puyallup people who inhabited Central Puget Sound for thousands of years before non-Indian settlement. 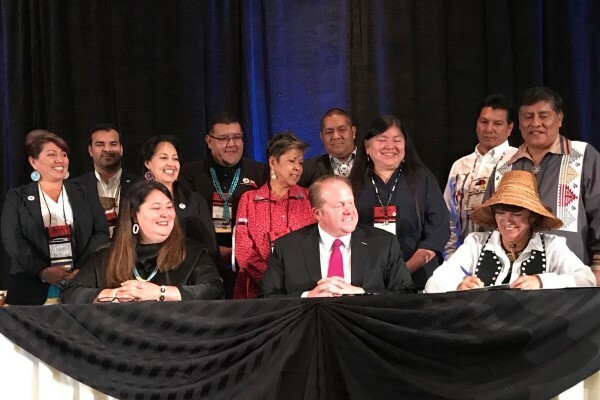 The Muckleshoot Tribe has been successful in diversifying its assets beyond its 3,860-acre reservation and its Auburn casino, considered one of the top three tribal casinos in the state. The tribe has invested in the Four Seasons Hotel and Residences in downtown Seattle and in 2007, it paid $62.5 million for the Salish Lodge & Spa overlooking Snoqualmie Falls. Washington Horse Racing Commission unanimously approved the license request for Emerald Downs LLC, owned by the Muckleshoot Tribe, to operate the Auburn racetrack. The Tribe’s White River Amphitheatre provides world class entertainment in a scenic location convenient to the entire Puget Sound .Area. 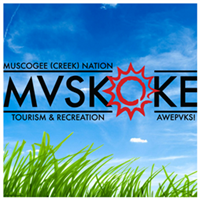 The Muscogee (Creek) were not one tribe but a union of several. Their historic territory spanned the region known today as the Southeastern United States. Early ancestors constructed magnificent earthen pyramids along the rivers of this region as part of their elaborate ceremonial complexes and later built expansive towns in the present states of Alabama, Georgia, Florida and South Carolina. The Tribe is an agent of growth and development, bringing jobs and new entertainment opportunities to the Tulsa area. Their development of RiverWalk Crossing features high-tech golf, family-oriented games, restaurants, a sports bar, party rooms and corporate space, benefiting the whole community. The historic Council House at the center of the Okmulgee town square now operates as the Muscogee (Creek) Nation Cultural Center & Archives. Nearby is the Five Civilized Tribes Museum, originally owned by the Muscogee Nation and transferred to the City of Muskogee. Native American Travel, located in Hollywood, Florida, opened for business on June 1, 2009. Owned by the Seminole Tribe of Florida, they are a full-service agency, accredited by ARC and the State of Florida. They are members of IATAN, GBTA, FBTA, CLIA and AIANTA and have special rate agreements with three major airlines and numerous hotels and car rental agencies in order to obtain the best pricing possible. They strive to provide their customers with the best possible service and advice to ensure that their travel arrangements are made to their needs and budget considerations. In October 1982, the Navajo Nation Tribal Council established the Navajo Nation Hospitality Enterprise as an enterprise of the Navajo Nation. The Enterprise is organized for the purposes of establishing an independent, financially self-sustaining, and successful Navajo business enterprise in the Hospitality field. The Navajo Nation Hospitality Enterprise owns and operates three properties: the Quality Inn Navajo Nation, the Quality Inn Navajo Nation Capital and the Navajo Travel Center. For more information please visit the website below. Navajo Parks and Recreation Department protects, preserves and manages tribal parks, monuments and recreation areas for Navajo Nation – the spectacular landscapes, buttes, canyons, clean air, diversity of plants and wildlife, and areas of beauty and solitude. The Navajo Nation is comprised of more than 25,000 square miles and offers hikers numerous isolated trails and routes. Parks and Recreation, seven major recreation areas: Monument Valley, Antelope Canyon, Little Colorado River, and Window Rock Navajo Tribal Parks, as well as, Veteran’s Memorial, Four Corners Monument, Bowl Canyon Recreation Area and working closely with National Park Service at Canyon de Chelly, Navajo Parks & Recreation manages Cottonwood Campground. The Navajo Nation is a land of great contrasts, from the towering formations of Monument Valley to the majestic red sandstone walls and lush green valley floor of Canyon de Chelly. It has an array of ancient ruins and is home to more than a dozen national monuments, tribal parks and historical sites, including the world renowned Navajo National Monument and the tranquil Chaco Canyon National Historical Park. Navajoland, is larger than 10 of the 50 states in America and is peppered with a dozen lakes and ponds – Lake Powell alone has 186 miles of Navajoland shoreline. 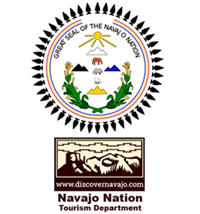 The DiscoverNavajo.com website allows you to navigate to information on historic Trading Posts, lodging accommodations, as well as, Navajo tour companies who explore the backroads and connect to the Navajo people. You will also discover cultural information on the traditional ways of the Navajo people. According to their history, the Nisqually people came north from the Great Basin, across the Cascade Mountains, to settle near the Mashel River. They lived in the interior woodlands and coastal waters from Mount Rainier west to Puget Sound. Today, they live in the south Puget Sound watershed on the Nisqually River, 15 miles east of Olympia, Washington. The Festival of the Steh-Chass is held the first weekend of September, celebrating the salmon and Deschutes River estuary. August is probably the best month for night sky viewing and no aid is needed, not even binoculars. Visit the Medicine Creek Café located on across the highway, formerly Nisqually Tribe territory, where the Medicine Creek Treaty was signed. There are four other restaurants located at the Nisqually Red Wind Casino. Also, nearby is the Billy Frank Jr. Nisqually National Wildlife Refuge is named after a Nisqually leader and provides trails for birdwatching, wildlife viewing and nature photography. The Quileute Oceanside Resort is a high class luxury resort featuring 33 deluxe ocean front cabins, two 14 unit motels, camp grounds and a full service RV park. All motel units feature mini kitchens and are tastefully appointed in an authentic Native American motif with spectacular ocean views. Come experience the tranquility and natural beauty of the rugged coastline of the mighty Pacific and visit the haunts of all your favorite characters from the popular book series penned by Stephenie Meyer. Jacob Black and the rest of the Quileute Tribe invites you to experience La Push and 1st Beach. 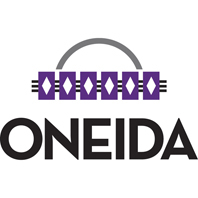 The Oneida are one of the original Five Nations of the powerful Iroquois Confederacy. Stay at the award-winning Radisson Hotel & Conference Center conveniently situated near Lambeau Field, home of the Green Bay Packers or the Wingate by Wyndham hotel is near the Austin Straubel International Airport. Oneida has much to offer. Take an historical and cultural tour of the Oneida Nation, including stops at the Oneida Nation Cultural Village featuring a traditional longhouse, the original dwelling of the Oneida when they lived in New York, five furnished log homes when they settled in Wisconsin, and the Buffalo Overlook. Experience the Oneida Nation Museum’s hands-on area, original Iroquois artwork, nature trails and Three Sisters Garden. Purchase contemporary Oneida and Iroquois arts at the Museum Gift Shop. Play golf at Thornberry Creek at Oneida – “The Best in the Bay” – and one of the top golf values in Northeast Wisconsin. Kasaan is located on the east side of Prince of Wales Island on Kasaan Bay, 30 miles northwest of Ketchikan. Originally, Tlingit territory, Kasaan gets its name from the Tlingit word meaning “pretty town.” In the early 1700s, Haida residents moved from their former village, now called Old Kasaan. Chief Sonihat built the Whale House, a traditional long house which became the focus of the new Kasaan Totem Park. The Haida name for the House is Naay Iiwaans. It was built in the late 1800s, by Yaadas Eagle nobleman Saanixaat ( “Sonihat”) and has been restored twice. Located right on the ocean, the walk to the Whalehouse is spectacular. Kasaan has a carving shed, where original pieces of Haida art are being created by local carvers, and can be bought. Alaska Dream Cruises brings in visitors regularly in summer. The Totem Trail Cafe is on the edge of the bay, and restaurant guests can enjoy whale watching while they dine. The restaurant also has a small gift shop, where Haida art is available. Deluxe Discovery Cabins with a view of the bay and the woods can be rented. Guided Tribal Tours narrated by a knowledgeable member of the Haida Nation give an insider’s view of this part of Alaska’s history and culture. The Osage Nation Visitors Center is the Nation’s first stop to welcome visitors into the Osage Reservation. The Visitors Center promotes Osage culture, Osage Nation services and Osage-owned artists & businesses. The Visitors Center provides the history of the Osage Nation from their perspective, using technology and literature to provide an enhanced experience. 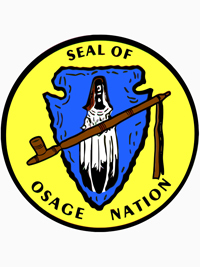 The Osage people refer to themselves as Wazhazhe, or “Mid-waters.” Osage is a French version of the tribe’s name. Originally, from the Ohio and Mississippi river valleys, the Nation migrated to Kansas and was later forced to move to Indian Territory, or present-day Oklahoma. Visit the Osage Nation Museum (ONM) in historic Pawhuska, Oklahoma, to learn more about their story. Continuously changing exhibits convey the story of the Osage people throughout history and celebrate Osage culture today. 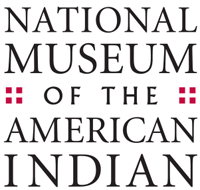 Founded in 1938, the ONM is the oldest tribally owned museum in the United States. Stay in one of the three Casino Hotels. There is one in Tulsa, one at Ponca City and another at Skiatook, each with a variety of dining establishments. You can also find restaurants in the casinos at Pawhuska, Bartlesville, Hominy and Sand Springs. Paragon Casino Resort offers the best of all worlds. A world-class casino packed with the most popular slots and table games, a full-throttle poker room and a thrill-a-minute off track betting parlor. And that’s not all. Lavish hotel accommodations with more than 500 rooms and suites. An indoor tropical pool with swim-up bar, full-service spa, three-screen cinema, fabulous dining choices, retail shops, championship golf course and live entertainment. For more information please visit their website below. Pearl River Resort, located in Choctaw, Mississippi, features the Silver Star and Golden Moon, two exciting hotel/casinos with over 2,700 slot machines, over 75 table games, over 1000 hotel rooms, 11 restaurants, European spa facilities, shopping and live entertainment. Also featured is The Dancing Rabbit Golf Club with two championship golf courses and Geyser Falls Water Theme Park. 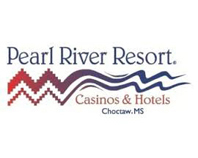 Pearl River Resort is a development of the Mississippi Band of Choctaw Indians, a federally recognized, self-governing tribe with over 10,000 + members living on or near reservation land. For more information please visit their website below. 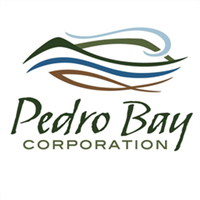 The Pedro Bay Corporation is the village corporation for Pedro Bay, Alaska, located on the eastern shores of Iliamna Lake, in the Bristol Bay region, 180 air miles from Anchorage. Iliamna Lake is surrounded by 4,000 foot peaks to the northeast and flat terrain in the southwest. Thick tundra blankets the lands. Abundant fish and wildlife provide food to sustain us year-round. Spectacular scenery and recreational activities are the focus of tourism opportunities. The Suquamish Tribe is located along the shores of the Kitsap Peninsula in Washington State. They established Port Madison Enterprises to develop community resources, promoting the economic and social welfare of the Suquamish Tribe through commercial activities. PME’s mission is to provide a sustainable diversified economy that ensures financial independence, development and revenue growth for the Suquamish Tribe, while promoting an atmosphere of excellence for our employees, guests and the community. PME encompasses several businesses including Suquamish Clearwater Casino Resort perched on a wooded bluff overlooking the Puget Sound, the historic Kiana Lodge situated on 1,000 feet of no-bank waterfront and six acres of beautiful gardens, White Horse Golf Course and Clubhouse, three retail outlets and a property management division. 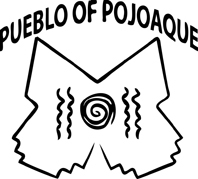 The Pueblo of Pojoaque is one of six Tewa Villages in the northern Rio Grande Valley whose inhabitants date back to around 900 A.D. In 1946, the Pueblo became a federally recognized Indian Reservation encompassing 11,603 acres. Today, the pueblo owns and operates a golf course, two gas stations with convenience stores, the Hilton Buffalo Thunder Casino Resort, Cities of Gold Hotel and Casino, a sandwich store franchise, a tourist information center and two restaurants. The Poeh Cultural Center & Museum includes two rotating galleries, permanent pueblo history exhibition, outdoor sculptures, theater space and native arts gift shop, plus much more. The Pueblo of Sandia is a federally recognized Indian tribe located in central New Mexico and adjacent to Albuquerque, the largest metropolitan area in New Mexico. The reservation covers 22,877 acres on the east side of the Rio Grande Valley. Sandia Pueblo is one of 19 pueblos located throughout New Mexico. The Sandia people are members of the pre-Columbian Tiwa language group who once dominated the Albuquerque area and their lineage can be traced back to the Aztec civilization who later migrated to the New Mexico region. The present site has been home to the Sandia people, where they have cultivated the land and raised their families, since 1300 AD. The Sandia Mountain provides the source of their spirituality as well as plants, animals and other resources which have been critical to their survival in this desert region. Once the largest pueblo in the area with more than 3000 people, they currently have just under 500 members. The Pueblo of Sandia owns and operates several thriving enterprises to help create a broad economic base to ensure its financial future as a self-reliant Tribe. The Pueblo of Sandia employs over 2,000 residents of the Albuquerque area including both Indians and Non-Indians. In addition, the Pueblo makes a significant contribution to the state economy in the way of salaries, goods and services purchased. 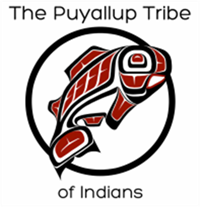 The people of the Puyallup Tribe have been known for their “generous and welcoming behavior to all people who enter our lands.” Living off the waters of the Puyallup River fed by Mount Rainier, the Puyallup People are part of the Salish speaking people of the Pacific Northwest. They lived in villages from the foothills of Mount Tacoma, along the rivers and creeks to the shores of Puget Sound, where they fished, hunted, and traveled by these waters. Using the Western red cedar to make many things like homes, utensils, canoes and art. They operate the Emerald Queen Hotel & Casinos and Chinook Landing Marina, which has established its reputation as one of the premier marinas in the Puget Sound region. In the heart of western Montana’s Flathead Indian Reservation is a unique cultural center, built by the region’s original creators of the fine arts and crafts: the Salish, Kootenai and Pend d’Oreille peoples. It is more than a museum; it is a vital, living encounter with Native American culture. The People’s Center is the place to experience the rich cultural heritage of the tribes. The traditions and culture of their people have been passed down orally from generation to generation since time began. As their lifestyles change with time and technology, they continue to preserve and protect their heritage, history and culture. Explore the artifacts and exhibits, and hear the stories of their people in their own voices. Participate in their cultural activities, celebrations, known as pow-wows, traditional arts and crafts, cultural education, native games, and other events reflecting the Tribes. Visit the Center Gift Shop which has a beautiful collection of Native art. Just west of US 41 and Fox River, the Radisson Hotel & Conference Center is located directly across from the Austin Straubel International Airport (GRB) and adjacent to the Oneida Casino. Ideal for both business and leisure travelers, the hotel offers a free shuttle to the airport and to nearby corporate offices, including Schneider National, Humana and Shopko. Don’t miss a football game at nearby Lambeau Field, legendary home of the Packer Hall of Fame and enjoy friendly service and a fantastic stay in Green Bay. The Seneca Nation of Indians has a proud and rich history. They are the largest of six Native American nations in New York State which comprised the Iroquois Confederacy or Six Nations, a democratic government that pre-dates the United States Constitution. 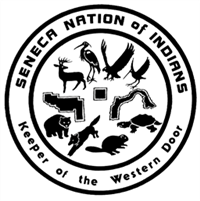 They are known as the “Keeper of the Western Door,” for the Seneca are the westernmost of the Six Nations. 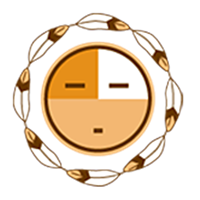 In the Seneca language they are also known as O-non-dowa-gah, (pronounced: Oh-n’own-dough-wahgah) or “Great Hill People.” For more information please visit their website below. 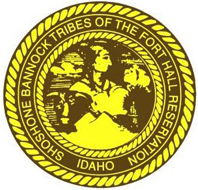 The Shoshone-Bannock Tribes are located on the Fort Hall Reservation in the eastern Snake River Plain of southeastern Idaho. The Shoshone-Bannock Hotel & Event Center welcomes guests to deluxe accommodations, the luxurious Cedar Spa and delicious dining at the Camas Sports Grill. The Hotel and Buffalo Meadows RV Park are located off Interstate 15, North of Pocatello, and on the way to Yellowstone National Park. The Shoshone-Bannock Tribal Museum tells our story from our point of view. Old photographs, displays and exhibits share how the Shoshone-Bannock people lived and settled the area around eastern Idaho. The museum store offers a variety of Native American books, music, calendars and more. The Donzia Gift Shop features Shoshone-Bannock Tribal fine arts including beadwork, moccasins, purses, medallions, belt buckles and wallets. Started in 1964, the Shoshone-Bannock Indian Festival is considered one of the best pow wows in Indian Country, featuring a pageant, relay races and traditional games. The Haakú Museum showcases the history, art, and lifeway of the Acoma people that has endured for a thousand years. Located within the 40,000-square-foot Sky City Cultural Center, in the pristine Acoma Valley, Haakú Musueum focuses on the preservation of Acoma history and the revitalization of lost art forms. Haakú Museum is both a moving voyage through the complex history that shaped the Acoma people, and an introduction to the life of the Caoma Pueblo, both past and present. For more information please visit their website below. 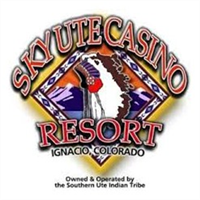 Located amidst the rugged beauty and scenic landscapes of the diverse Four Corners region, Sky Ute Casino Resort is the perfect hub from which to explore the endless recreational options that are available! The Southern Ute Cultural Center and Museum, the Durango & Silverton Narrow Gauge Railroad, Mesa Verde National Park, Durango Mountain Resort, Chimney Rock Archeological Heritage Site, and Navajo Lake are all in close proximity, and the opportunities for skiing, camping, hiking, fishing, and white water rafting abound. For more information please visit their website below. 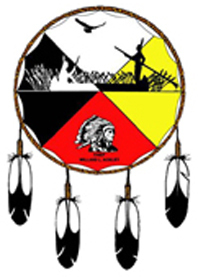 The Sokaogon (Mole Lake) Chippewa Community is located in Northeastern Wisconsin. It enjoys three beautiful lakes either on or adjacent to the small reservation: Mole Lake, Bishop Lake and Rice Lake, which lies at the headwaters of the Wolf River. The Mole Lake area boasts hundreds of miles of snowmobile trails, hiking and mountain biking trails, ATV/UTV trails, and cross-country ski trails. There are over 800 lakes, 82 trout streams and 400,000 acres of public wilderness land teeming with wildlife in the vicinity. If you are looking for bald eagles, they are easy to spot soaring above Mole Lake and nearby lakes and streams. The Mole Lake Minnows and More provides outdoor gear and a place for sportsmen and women to gather. The Sokaogon Chippewa Community host two annual pow-wow’s each year. The Annual T.R.A.I.L.S. Youth Pow-Wow is held every March and the Annual “Ode-imini-giizis” Strawberry Moon Pow-Wow is held every June. The Sokaogon Chippewa Cenex gas station has a wide variety of products. The Mole Lake Casino Lodge & Conference Center offers 75 spacious rooms, slot machines, table games, bingo, live entertainment, dancing, a full service Conference Center, and dining in Cafe Manoomin that features various specials, including a wild rice soup every day. The Mohawk are traditionally the keepers of the Eastern Door of the Iroquois Confederacy, also known as the Six Nations Confederacy or the Haudenosaunee Confederacy. Our original homeland is the north eastern region of New York State extending into southern Canada and Vermont. The reservation is adjacent to the Akwesasne reserve in Ontario and Quebec. The Mohawk consider the entire community to be one unit. 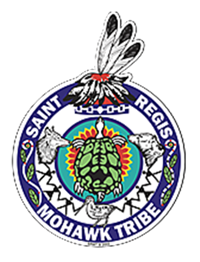 The Tribe operates two gaming establishments, the Akwesasne Mohawk Casino Resort with the Sweetgrass Spa and the Mohawk Bingo Palace. The Akwesasne Cultural Center includes a museum and library present Mohawk culture from the perspective of the Mohawk people of Akwesasne. For thousands of years, Alaska’s Aleut people have cherished a tradition of welcoming visitors and providing them with a home away from home. Come visit St. Paul, a small, windswept island known as “the Galapagos of the north.” A part of Alaska’s Pribilofs in the Bering Sea, St. Paul is 800 miles from Anchorage. St. Paul Island is a bird-watcher’s paradise and one of the most sought wilderness and wildlife destinations in the world, swarms of nesting seabirds include both Tufted and Horned Puffins, also see Arctic Foxes, Northern Fur Seals, and one of the best wildflower displays in Alaska. Visit the St. Paul community and experience for authentic and warm Aleut hospitality. Enjoy the wide-open spaces and the breathtaking beauty of nature on the island. Kayaks are available for use on the island’s two lakes or hike St. Paul’s rolling hills and beaches. TDX offers a range of tours, as well as custom tours through the summer season May 15 – Sep 30. The Standing Rock Indian Reservation spans North and South Dakota. The fifth-largest Indian reservation in the U.S., it stretches across expansive tall grass plains, rolling hills and buttes bordering the Missouri River. The name comes from a natural formation that resembles a woman with a child on her back. The Standing Rock National Native American Scenic Byway runs 86 miles along historic S.D. Highways 1806 and 24, memorial markers, interpretive signs and monuments commemorate the heritage of the tribes. The Lewis and Clark Legacy Nature Trail, located at Prairie Knight Marina near Fort Yates, includes a three-mile walking/biking/hiking trail with markers that identify natural plants and include explanations of how they were used. The Bay at Grand River includes cabins, a campground and two boat ramps with access to Lake Oahe for boating and other water recreation. The Grand River Casino Resort and Prairie Knights Lodge Casino provide RV hookups and camping areas for boating, hunting and fishing. Taos Pueblo is the only living Native American community designated both as a World Heritage Site by UNESCO and a National Historic Landmark. The multi-storied adobe buildings have been continuously inhabited for over 1000 years. Approximately 150 people live within the Pueblo full time. Mica-flecked pottery and silver jewelry are made by local artisans and sold at many of the individually owned curio shops within the Pueblo. The Taos Pueblo people, being great hunters, are also famous for their work with animal skins — moccasins, boots and drums. There are a growing number of contemporary Pueblo fine artists, combining Indian tradition with modern artistic expression. Visitors can experience a unique environment of history, culture, and of course arts and crafts on a tour of Taos Pueblo. Tanana Chiefs Conference (TCC) is a consortium of 42 member tribes in interior Alaska, acting as a non-profit organization for the region. TCC provides health, social, and other services while supporting and advocating on behalf of our tribal leadership and tribes. The Tanana Chiefs Conference region covers an area of 235,000 square miles in interior Alaska, which is equal to about 37 percent of the entire state, and just slightly smaller than the state of Texas. The region encompasses 39 villages serving more than 14,000 Alaska Natives. The Village Planning and Development Program provides technical assistance and capacity building to TCC member villages in the areas of planning, grant writing, and business development. The Tulalip Tribes is a thriving community rich with history and culture. Located only 30 miles north of Seattle and offering luxurious accommodations, award-winning dining, a rejuvenating spa, casino excitement and world-class shopping, the AAA Four Diamond Tulalip Resort Casino is among the premier destinations in Washington State. Awaiting your arrival are 370 newly appointed guest rooms, three lounges and eight exceptional dining options ranging from casual bites to sophisticated cuisine. Boasting beautiful Native American Artwork throughout the property and even more history and culture at Hibulb Cultural Center. For a relaxing retreat, visit the full service T-Spa offering a variety of native-inspired services in addition to its full range of skin and body therapies. Live entertainment nightly and 24-hour casino excitement are always on the agenda. Shopping at Seattle Premium Outlets with over 140 stores is only steps away. There’s something for everyone at Tulalip! You will find the Ute Mountain Casino, Hotel and RV Park nestled in the shadow of the legendary Sleeping Ute Mountain, 25 miles north of the Four Corner borders. The legend of Sleeping Ute Mountain says it is a sleeping warrior god who came to fight the evil ones and will rise again if needed. For adventure, visit the Ute Mountain Tribal Park, located nearby and tour the ancestral lands of the Ute Mountain Utes. The area is accessed by tour guide only. The Trail of the Ancients Scenic and Historic Byway, a 114-mile route passes the casino and leads to a number of historic sites, including the cliff dwellings of Mesa Verde National Park, the Ancestral Puebloan ruins at Canyons of the Ancients National Monument and the Anasazi Heritage Center. 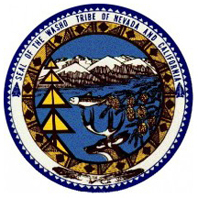 The Washoe Development Corporation works to maximize the profitability of the current Tribal business enterprises and looks for methods to expand the scope and reach of current Tribal business enterprises. The Washoe Tribe of Nevada and California operates the Meeks Bay Resort on the Western shore of beautiful Lake Tahoe. The Resort includes Kehlet Mansion, Washoe House, mountain cabins, beachfront lodges, a marina and watersports. The Resort operates on National Forest Service Land under a special use permit administered by the USDA Forest Service, Lake Tahoe Basin Management Unit. In July, the Tribe hosts its popular annual Wa She Shu It Deh Arts and Crafts Festival at the Vallhalla Community Events Center in Lake Tahoe, California. Located in the heart of Wyoming, Wind River Hotel and Casino provides visitors with the Ultimate Gaming Experience. As the largest casino in Wyoming, they are the only vacation destination in the state where you can stay, play and win! The newly opened hotel is within driving distance of all the great Wyoming hotspots such as Yellowstone National Park, The Grand Tetons and Jackson Hole. For more information please visit their website below. 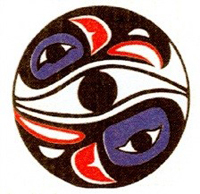 The Wrangell Cooperative Association was formed to promote the welfare of the Tlingit people through the development and operation of social and economic enterprises. History, native culture, wildlife, natural beauty, glaciers and excitement await in Wrangell. The Cooperative owns and operates the home of the Chief Shakes Historic Site, a National Register site that receives over 10,000 visitors a year and stands as one of the few lasting reminders of Southeast Alaska Natives and their unique totemic art. Wrangell Island, an island in the Alaska Panhandle, is 155 miles south of the Alaskan capital of Juneau. Adventurous Antelope Canyon Photo Tours Adventurous Antelope Canyon Photo Tours is a Navajo owned and operated company. Adventurous Antelope Canyon Photo Tours provides quality guided tours, sightseeing tours and photographic tours, into slot canyons that are within the Antelope wash basin located on the outskirts of Page, Arizona. The slot canyons reside within the Navajo Nation reservation boundary. The Navajo nation has its own Tribal Park who maintains the slot canyons, Lake Powell Navajo Tribal Park. Adventurous Antelope Canyon Photo Tours is a Navajo owned and operated company, Carol Bigthumb (maiden name Begay) is the owner. She is part of the Begay family. Join Alaskan Dream Cruises, with the local insider’s knowledge of where to go and what to do. They deliver the Alaska you’ve always dreamed of. Experience the wonderment of Southeast Alaska’s wildlife, glaciers, mountains and wilderness through true Alaskan eyes. Create the kind of shared experiences that will last a lifetime: viewing marine life and wildlife, spectacular beauty, new cultures and learning first-hand about life in Alaska, while becoming a True Alaskan with True Alaskans. For more information please visit their website below. 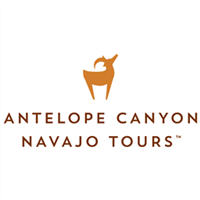 Antelope Canyon Navajo Tours is navajo owned and a customer service oriented business that specializes in tours into the Upper Antelope Canyon/Slot Canyon near Page, AZ on the Navajo Nation. One of their primary goals is to have their guests see Antelope Canyon through the eyes of a Navajo. 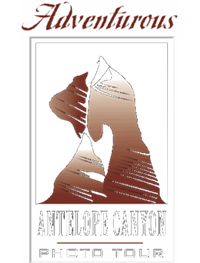 They are the only business located in the Antelope Canyon Tribal Park area. They are the Begay Family, the original land user to this beautiful area and they will enjoy sharing Navajo stories with all visitors. A unique combination of southern hospitality, gracious accommodations and modern day conveniences come together to offer a great place to stay or hold a small meeting. Enjoy the stunning scenery of Bayou Lafourche in the gracious home built by one of Raceland’s early physicians, Dr. Phillip Robichaux, The home has been renovated as Chez Felicite’ decorated with antique furnishings, enriched with heirlooms and local cultural art. Charming guest rooms are individually decorated with antique furnishings to honor the history and culture of our family, including Native American art and artifacts decorate the walls of two guest rooms. 32 miles from Louis Armstrong New Orleans International Airport and 13 miles to the Houma Tribe. 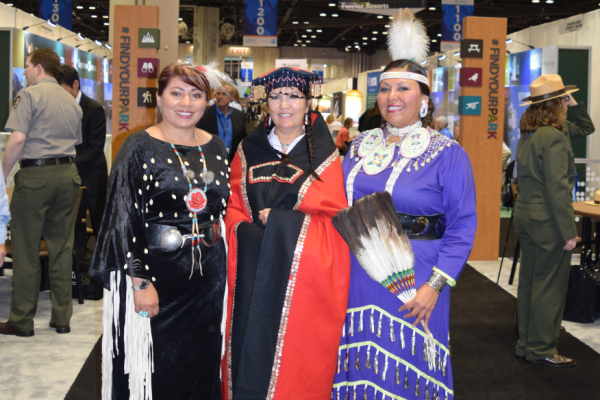 Exhibit Solutions is a Native American, woman-owned, 8(a)/SDB business offering portable trade show displays, exhibits, visual marketing products, in-house large format graphic printing and design. Exhibit Solutions is owned by Cochiti Pueblo member Gina Euell. Exhibit Solutions produces the highest quality, most durable graphics for any display application. Their state-of-the-art in-house output capabilities include high-resolution prints, solvent based indoor/outdoor prints, photo quality banners and they can print directly to substrates such as foamcore, gatorboard, coroplast and Sintra. Monument Valley Simpson’s Trailhandler Tours, LLC is owned and operated by Harold Simpson. His family and tour guides are all Navajos who are born and raised in the beautiful and enchanting place called Monument Valley. He is proud & happy to share with visitors the beauty of his Motherland. On all tours, an experienced tour guide will share all their knowledge of Monument Valley including the culture and traditions of their people: the Diné (Navajo). For more information please visit the website below or call 435.727.3362. 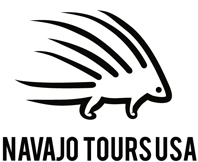 Navajo Tours USA is 100% Navajo owned and offer adventure tours throughout the eastern Navajo Nation reservation in northwest New Mexico. All-inclusive photo and/or discovery tours include destinations to Chaco Culture National Historic Park, Bisti/De-Na-Zin Wilderness, Huerfano Mountain, Gallina Culture, Nacimiento Badlands, and the Continental Divide trail. They are the only tour operator on the eastern area of the Navajo Nation. Navajo Tours USA offer mobile catering so you can enjoy Navajo cultural cuisine at their campground at Camp Dahsání. Passport To Pueblo Country is a Native owned company based in the Pueblo of San Ildefonso that provides cultural tours of the Pueblos. Tribal member guides take visitors through guided walks, sharing historic information about the pueblos dating back to the 14th century and visits to places like the Pueblo Museum and Than Povi Gallery, owned by tribal members Elmer and Deborah Torres and represents over 100 artists. After the walk, a delicious traditional feast day meal is provided. Visitors get a chance for a close up view to artist demonstrations and traditional dance performances. Feast days are celebrations of ancient Native American traditions and heritage as well as commemorations of Catholic saints which were introduced in the 1500s. The tours give visitors a window to another world — a living culture that carries on the centuries-old traditions of our ancestors. The Southwestern Association for Indian Arts (SWAIA) will celebrate its 94th year of the Santa Fe Indian Market™ August 22-23, 2018. This spectacular festival brings over 175,000 people to Santa Fe every August with its unique, exciting and inspiring events. SWAIA is an advocate for Native American arts and cultures, and creates economic and cultural opportunities for Native American artists by producing and promoting the Santa Fe Indian Market™ as the finest Indian art event in the world; cultivating excellence and innovation across traditional and non-traditional arts forms; and developing programs and events that support, promote, and honor Native artists year-round. 106 Group, founded in 1992 in St. Paul, MN, is an award-winning firm built on the belief that communities are strongest when they evolve with a rooted sense of their own authentic heritage. For over 25 years, we have assisted Native American and Indigenous communities in developing innovative ways to document and promote resources and uncover powerful stories. Cultural tourism is meant to sustain and enhance the character of a place for those who live there while also providing a meaningful experience for visitors. We use strategic planning to fulfill the mission, vision, and principles of a cultural tourism program by outlining the implementation, expertise, schedule, and costs that will best achieve key objectives. Our company-wide commitment to history and culture is the connecting thread that weaves throughout our diverse portfolio that includes planning, interpretation and design, community engagement, archaeology, and architectural history services. As the official concessioner to the National Park Service, Alcatraz Cruises offers several Alcatraz Island tour options, from in-depth, behind-the-scenes experiences to daily visits to Alcatraz Island. Your visit to Alcatraz Island includes round-trip transportation. The occupation of Alcatraz Island from 1969 to 1971 by “Indians of All Tribes” changed the course of U.S. and American Indian civil rights and brought worldwide attention to the plight of American Indians. The award winning video/exhibit, “WE HOLD THE ROCK,” produced by the National Park Service and the Golden Gate National Parks Conservancy, is shown continually in the exhibit area behind the main theater known as China Alley. In mid-October & Thanksgiving Day each year an Indigenous People Sunrise Ceremony is held. This is not the standard Alcatraz Island tour and all areas, with the exception of where the ceremony takes place, will be closed and inaccessible to the general public. AMERICA Journal, published six times a year, has a circulation of 40,000 copies, and 200,000 readers. 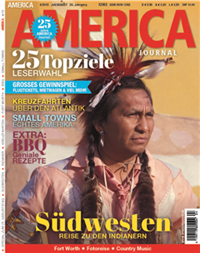 AMERICA Journal presents its readers through beautiful pictures and exclusive editorial (written by German writers traveling to those destinations with a German point of view) the newest attractions, the scenic drives and trends in shopping and lifestyle. Basically America Journal tells it readers where to go, what to visit, where to stay and eat, and what to do. Our readers are and affluent (35% have a household income of US$ 60,000 to 120,000, 40% have a household income of more than US$ 120,000). Among their family, friends and coworkers they are opinion formers and advisers for vacations in the US. On average our readers stay 22 days per visit, visit the US once a year, and have already been to the US approximately 8 times. It is a good multiplier to help spread the word about your destination. 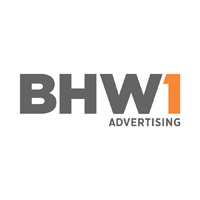 BHW1 Advertising has been collaborating with our tribal partners for more than 22 years. We have a trusted record of creating highly successful campaigns, from casino branding and advertising to tribal communication campaigns that help the public understand complex issues and dispel misguided perceptions. And we do it through all media—traditional, digital and social. We are a full-service advertising agency with a dedicated staff. Our BHW1 tribal strategy team is led by Spokane tribal member Jamie Sijohn who brings 20+ years in marketing, PR and communications–from television news to casino and tribal tourism marketing to grassroots public engagement. You have a unique story. Traditions. Culture. A history. A future. At BHW1, we have a proven process to respectfully help you share that story with the world. Our distinctive approach begins with listening to your story and then creating strategies for a clearly defined journey that delivers on the promise of success. The cruise and tour company has a reputation for catering to well-traveled individuals looking for a tour beyond what’s customary and traditional in Alaska. Tours focus on authentic Alaska destinations chosen for their unforgettable cultural, historical and geological experiences. All departures are guided by Alaskans who inform and entertain you along the way. 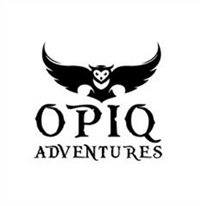 These adventures are custom built and fully operated by our organization. The company currently offers nine separate itineraries and the staff loves customizing special trips for its partners. 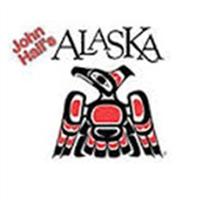 In 2014, the Alaska Tourism Industry Association awarded Hall the Lifetime Achievement Award. This recognition, not a standing annual award, is given to an individual who has demonstrated lifelong support of and leadership in Alaska tourism, promoted industry standards of excellence and contributed to the industry’s growth as a whole. Luxe Pricing has over 100 years of combined hospitality, gaming, operations, sales, marketing, and engineering experience. We take engineering techniques that have been used to solve the world’s toughest problems and apply them to pricing. Our revenue optimization services will help your organization approach pricing using the same methods that are used in rocket science. We present them in a clear and transparent way to all levels of management for maximum revenue optimization. Our consulting services and proprietary software can help grow your business and build a long term, sustainable strategy. We touch many areas of a casino resort operation including revenue management, marketing, player development, casino operations, front desk, and sales. MacLeod Farley & Associates works closely with and for Tribal and Indigenous communities working to develop cultural-tourism, adventure-tourism and community economic development. We work extensively across Canada (from Labrador to the Yukon, and Akwesasne to Nunavut) and within the US (Alaska and Akwesasne). Our firm is led by partners Rick and Pauline MacLeod Farley; with Pauline having Celtic (Scottish and Irish) ancestry and Rick’s ‘fur trade era roots’ both Celtic- and French-Canadian. Our firm has a special focus on ‘integrated project planning, development and financing’. We have helped secure more than US$50 million in funding for our clients. We placed ‘top ten’ at the 2008 World Proposal Championships. Our work on Cree Village Ecolodge for MoCreebec Eeyoud Cree Council helped with ongoing recognition by National Geographic as one of the top 25 ecolodges in the world. 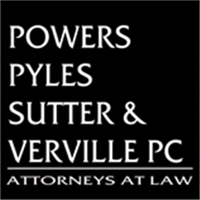 The Indian Tribal Governments Group of Powers Pyles Sutter & Verville provides a full range of legal and government relations services to tribal governments and organizations, tribally-owned corporations and private entities doing business with tribes. The Group advises on federal legislative matters, business planning, corporate structures, energy development and environmental law, federal recognition, state and federal tax and audits, financing and contracting issues, gaming development and regulation, healthcare, housing and community development, human resources, land acquisition and claims, and tribal governance. Tauck, Inc. is a leader in the creation of enriching travel experiences that enhance people’s lives by broadening their knowledge and fulfilling their dreams. They are a family company built on a timeless philosophy of integrity, innovation and respect. By exceeding customer expectations, they continually build a loyal and dedicated following. For more information please visit their website below. AHCC is a member-focused business organization and is proud to be one of the largest Hispanic chambers in the country. AHCC’s members are the core of everything they do and their members support the organization by collaborating with them in a variety of ways. The organization constantly strives to anticipate and meet the needs of their members in order to support businesses in a dynamic way. These efforts have driven AHCC to develop into an organization that is more than a chamber – but also a force in the community, driving business and economic growth in unique and unparalleled ways. The American Indian Chamber of Commerce of Arizona (AICCAz) was founded in 1995 and incorporated as a non-profit organization in 1996. The focus of the Chamber is to provide a format for American Indian entrepreneurs to promote their business, for corporations to connect with American Indian businesses, to act as a liaison on tribal economic development issues and to offer the best in resources, training and networking for the American Indian business. AICCAz offers our members the opportunity to exchange ideas and information with business owners throughout the state. The AICCAZ is committed to networking with all Native American businesses throughout the Southwest and the United States to develop collaborative opportunities focusing on Indian tourism, gaming, agriculture, arts and crafts and joint ventures that will develop successful economic development models for Native American communities. 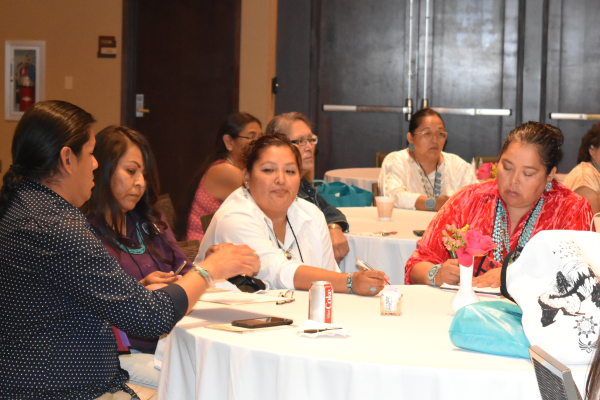 The American Indian Chamber of Commerce of New Mexico (AICCNM) is a non-profit organization made up of more than 375 professionals, Tribal Entities, Governments, Small Businesses, Organizations, Artisans and Individuals. AICCNM promotes the development of healthy, self-sufficient American Indian Economies, both on and off the reservation. For more information please visit their website below. 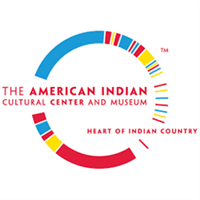 The American Indian Cultural Center and Museum is a dynamic community gathering showcasing new ways of exploring Native Culture and history by presenting and interpreting stories, customs and fine arts, from the traditional to the contemporary. Nowhere else in the Nation can a visitor travel by car between 30 minutes to 3 hours to visit 39 distinctive Tribal Nations. For more information please visit their website below. The American Indian Resource Center’s mission is to develop culturally appropriate resources to meet the needs of American Indian communities. AIRC provides expertise to tribes, organizations, schools and agencies in the areas education, health and social services; program development and evaluation; management analysis; experimental, historical and survey research; video production and curriculum development. Several programs promote career and college readiness of American Indian youth. The newest project provides experiential outdoor educational learning at the 260 acre Camp Sevenstar on Lake Tenkiller, near Tahlequah, Oklahoma. The learning center campus includes a kitchen and recreation building, two classrooms, dormitory, three cabins, tent camping area, outdoor classroom arbor, amphitheater, field for games and a certified challenge course of low and high ropes. Adventure activities include swimming, hiking, canoeing, kayaking, traditional marbles, stickball and archery. Youth camps, retreats, seminars, and family outings are part of the scheduled events. The Arizona Office of Tourism enhances the state economy and the quality of life for all Arizonans by expanding travel activity and increasing related revenues through tourism promotion and development. Gallup, a small city in northwestern New Mexico on historic Route 66, offers a unique blend of Native American Culture with a rich abundance of authentic Indian arts and crafts. The landscape is beautiful beyond words, with red mesas to the north and east, and the mountains and painted deserts of Arizona to the west. Gallup is home to incredible outdoor adventures, with over 33 miles of trails in the area, as well as it is the southwestern center of uniquely authentic and beautiful Indian arts and culture. There are over 1,000 Indian artisans within the region as well as 110 trading posts, shops and galleries in Gallup, making the town the undisputed Southwestern center for authentic Native American art. 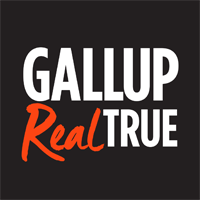 Gallup offers a full slate of thrilling events throughout the year. Every August for nearly a century, Gallup has hosted the Inter-Tribal Indian Ceremonial with five days of Native American dancing, parades, elaborate costumes, authentic foods, arts, music, rodeo performances and more. Gallup is also home to the Gallup Native Arts Market, an annual event that features direct retail with over 120 native artists in the heart of downtown Gallup. From May to September guests and locals can experience the Summer Nightly Indian Dance program, just two blocks off of Route 66. 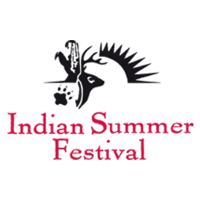 This program features 15 different Indian dance groups from all over the southwest in a free event where everyone can learn about the traditions, regalia, and culture, as well as take pictures. An incredible selection of ancient Indian ruins, stunning scenic attractions, and fascinating historic sites are within a 90-minute journey from Gallup. 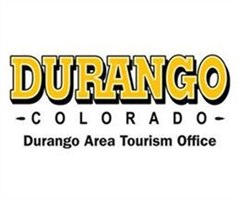 Established on January 1, 2003, the Durango Area Tourism Office provides visitors with detailed information on world-class events, attractions, restaurants, and accommodations in the Durango area. Whether you are planning a family vacation, a business trip or a conference, let the Durango Area Tourism Office help make your visit an unforgettable experience! 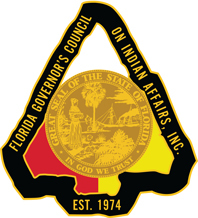 The Council has been “Promoting the economic self-sufficiency and self-determination of American Indians and Native Americans since 1974.” It was formed by an Executive Order to advise the Governor’s office on matters of policies, law, and services to the Native American population in the State of Florida; to assist the State in carrying out its responsibilities to the Native American population of Florida; and to provide advocacy on behalf of Native American population to all levels of external interest and organizations potentially impacting their interest and rights. At all times, the majority of the Board of Directors are members of the two federally recognized tribes of Florida, the Miccosukee Tribe of Indians of Florida and the Seminole Tribe Florida. The Council operates a Workforce Development Service for job training and education and an Indian Youth Leadership Academy. 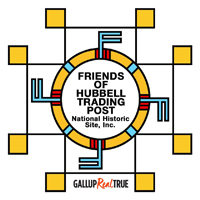 Friends of Hubbell Trading Post National Historic Site is a nonprofit organization established in 1990 to aid and promote the management of programs and objectives of the trading post. Friends of Hubbell support Native American arts and crafts through bi-annual Native American Art Auctions held in May and September. These enjoyable full day events are worth taking a trip to attend. Proceeds support scholarships to Navajo and Hopi college students and to increase the awareness of the trading post heritage in the Southwest. The Trading Post, established in 1878, is the oldest continuously operating trading post on the Navajo Nation reservation. It has been considered a meeting ground of two cultures between the Navajo and the settlers who came to the area to trade. It became part of the National Park Service in 1967. The trading post is filled with historic artifacts and merchandise for sale (which includes jewelry, pottery, rugs, foodstuffs and general supplies). The Hawai‘i Tourism Authority is the state agency charged with strategically managing Hawai‘i’s tourism marketing in a sustainable manner consistent with economic goals, cultural values, preservation of natural resources, community programs, and visitor industry needs. HTA believes the Native Hawaiian people and their host culture are what distinguishes Hawai‘i’s global appeal as a travel destination compared to other places worldwide. HTA’s Kukulu Ola: Living Hawaiian Culture Program provides funding annually to support organizations that enhance, strengthen and perpetuate the Hawaiian culture. 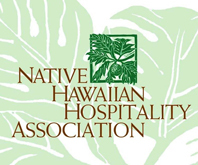 HTA is the major supporter of the Native Hawaiian Hospitality Association. 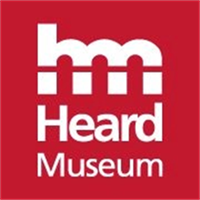 The Heard Museum explores American Indian art, history and lifeways through the voices of Native people while celebrating the creative innovations of today’s most masterful artists. The Heard’s signature event, the prestigious Heard Museum Guild Indian Fair & Market, is held annually the first weekend in March with more than 600 artists, performances and art and chef demonstrations. The Heard Museum Shop is acclaimed for its commitment to featuring only authentic Native art as well as one of the Southwest’s most comprehensive selection of books and other local items. The Heritage Center is located on the Pine Ridge Indian Reservation in southwestern South Dakota and is open year around. The Red Cloud Indian Art Show started in 1969 is one of the largest and longest running Native American art shows in the country, and one of the few held on an Indian reservation. The Gift Shop sells affordable, locally made Lakota art, crafts and gifts, including porcupine quillwork, parfleche, star quilts, beadwork and more. The Gallery and Historic Collections showcase more than 10,000 pieces of historic and contemporary Native American art. Regional and national exhibits rotate through the gallery year-round. 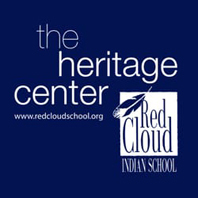 The Center is named after the great Oglala leader Chief Red Cloud who’s vision helped establish Red Cloud School. 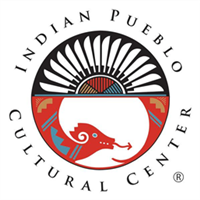 The 19 Pueblos of New Mexico, opened the Indian Pueblo Cultural Center (IPCC) in 1976 to showcase the history and accomplishments of the Pueblo people from pre-Columbian to current time. Thousands visit IPCC each year to experience Pueblo culture and hospitality. The environment at IPCC provides a peaceful respite for visitors. The plaza’s circular form, adorned by murals painted by renowned Pueblo artists, beautifully accentuates the architectural design of the center. For more information please visit their website below. The annual Indian Summer Festival has taken place for 32 years in September and is one of the largest Native America cultural celebrations in the United States. It includes activities for everyone in the family. Events include a contest pow wow, amateur boxing, Indian Summer Music Award show, contemporary and cultural Native entertainment and lacrosse games and demonstrations, The Living Cultures Area brings in members of the 11 sovereign tribes of Native Wisconsin to share facets of their cultures that have sustained their lives and well-being for centuries. The Gathering Place is home to community service organizations providing information of interest and support to American Indian people and the Milwaukee community and includes holistic healing methods and local community outreach organizations that provide physical and mental health services. There is also an extensive marketplace with Native American fine art and arts and crafts vendors. Indian Summer Festival is a winner of AIANTA’s 1918 Cultural Heritage Experience award. MONTANA represents the untamed, the wild, the natural. Glacier and Yellowstone National Parks are starting points. Between the parks lie mountains that don’t have names yet, in ranges you’ve never heard of. Scattered in their valleys, you’ll find small towns full of friendly locals sharing the unexpected and even maybe their huckleberry pie. They invite you to explore the parks and all the places in between. For more information please visit their website below. The National Museum of the American Indian houses one of the world’s largest and most diverse collections of its kind. The museum’s sweeping curvilinear architecture, its indigenous landscaping, and its exhibitions, all designed in collaboration with tribes and communities from across the hemisphere, combine to give visitors from around the world the sense and spirit of Native America. For more information please visit their site below. The mission of the National Federation of Tourist Guide Associations-USA is to represent, promote and protect the common interests of tourist guide associations in the United States of America by: 1) Providing a national forum to promote the highest degree of professionalism for tourist guides; 2) Establishing contacts among associations to share information and reinforce professional ties: 3) Raising private, public and governmental awareness, locally and nationally, of the tourist guides’ role. 4) Maintaining membership in related national tourism industry associations. The on-going focus and commitment of the NFTGA-USA is to promote effective training and continuing education, while upholding a strict code of ethics and demonstrating the highest degree of professionalism. NFTGA has 20 member associations across the United States representing over 2500 tour guides. 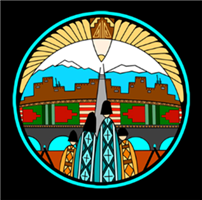 Native Americans for Community Action, Inc. (NACA), based in Flagstaff, Arizona, operates throughout Northern & Central Arizona. NACA’s mission is to provide preventive wellness strategies, empower, and advocate for Native peoples and others in need to create a healthy community based on Harmony, Respect and Indigenous Values. Services include economic development, employment and training, health wellness and behavioral health services. NACA provides art workshops and partners with the Coconino National Forest to oversee Native American artists, craftspeople, and vendors at Oak Creek Vista, a premiere vending location perched atop scenic Oak Creek Canyon about halfway between Flagstaff and Sedona, Arizona. Sixteen vendors are set up daily to sell authentic jewelry and arts & crafts. This site is off Highway 89-A, atop the switchbacks of Oak Creek Canyon. This program creates a unique opportunity for Native Americans to enhance and develop their economic self-sufficiency. Families involved with the project have gained economic empowerment and pride. 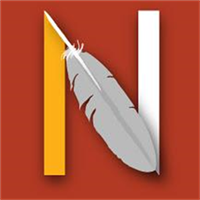 NATOW is an inter-tribal consortium that was launched as a state wide initiative in 1994 by GLITC (Great Lakes Indian Tribal Council). 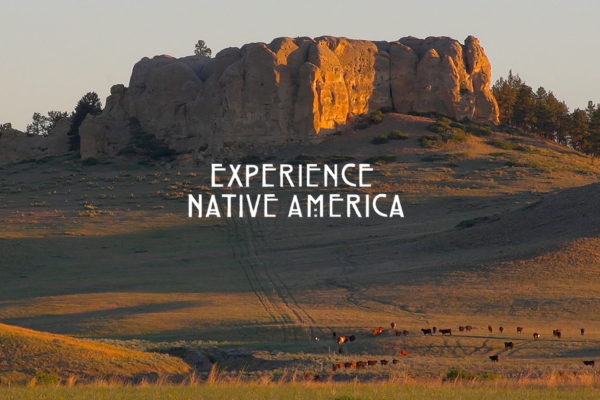 The mission of NATOW is to promote tourism featuring Native American heritage and culture. NATOW is comprised of representatives from each of the eleven Wisconsin tribes, who converge bi-monthly to discuss its strategic tourism plan. For more information please visit their website below. NaHHA perpetuates an authentic spirit of aloha and Hawaiian culture in hospitality industry planning, promotion and product development. NaHHA supports Hawaiian Culture in the tourism industry through consulting and educating, developing and implementing effective communication tools, conducting research, and providing project support and coordination. NaHHA advocates for the development and advancement of Native Hawaiians in tourism as our best investment in future leaders and in the perpetuation of authentic culture in the visitor industry. 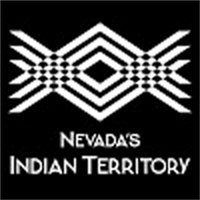 Nevada Indian Territory is a non-profit organization and marketing arm of the Nevada Commission on Tourism organized to assist the State of Nevada and Nevada Indian Tribes in the promotion and marketing efforts of cultural and special events, cultural and visitors’ centers, and tribal enterprises. The Indian Territory also seeks to expand other native tourism opportunities and encourages public education to protect, preserve and edify respect and appreciation for traditional American Indian arts and cultural resources. For more information please visit their website below. Niagara Falls is a natural phenomenon that is overwhelming in its magnitude and deeply embedded in popular consciousness. Historically, the Niagara River served as the gateway to the west with Native Americans and early European explorers portaging around Niagara Falls to travel to the interior of the North America. The Niagara Falls National Heritage Area is one of 49 National Heritage Areas in the United States. National Heritage Areas are the keepers of America’s story. It’s mission is to preserve, protect and promote the historic, natural and cultural resources of the area stretching from Niagara Falls to Old Fort Niagara in Youngstown, New York. The work of the Niagara Falls National Heritage Area is to enhance public appreciation for the communities, significant historic and natural resources, and landscapes of the Niagara region. Working with partner sites, tribes and organizations, the National Heritage Area works to ensure the successful development of an experience that connects these partner sites along the Discover Niagara Shuttle route through storytelling. The Office of Hawaiian Affairs was born of a collective and compassionate effort on the part of the delegates to the state Constitutional Convention of 1978. They spoke to a sense of justice, to the righting of wrongs suffered by the indigenous people of the Hawaiian Islands for exactly 200 years. The arrival of Captain Cook in Hawai`i had brought not only increased contact with the world beyond the islands’ pristine shores, but also diseases that devastated the native population, and a way of life that depressed the circumstances of those remaining. 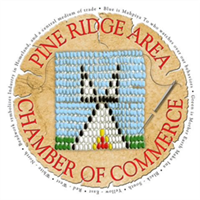 The Chamber is an association of business people-working together to make Pine Ridge Area a better place in which to live, work, and raise a family. Its purpose is to create, sustain and enhance Indian owned businesses, therefore improving the quality of life on the Pine Ridge Indian Reservation. The Chamber applies the Lakota values of Honesty, Wisdom, Respect, Courage, Fortitude, Responsibility, and Generosity to the economic setting. The Chamber maintains an online calendar of events and provides free visitor packets which include a brochure, business cards, and a newsletter. 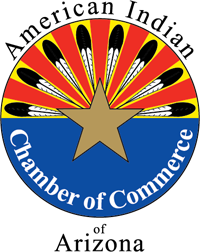 The Chamber promotes the Pine Ridge Reservation not only in the community and surrounding areas, but regional and nationally The Chamber provides training and promotion to its members, including the Lakota Mall, an online business directory and e-commerce site. Sealaska Heritage Institute is a private nonprofit founded in 1980 to perpetuate and enhance the Tlingit, Haida and Tsimshian cultures of Southeast Alaska. Its goal is to promote cultural diversity and cross-cultural understanding through public services and events. Sealaska Heritage also conducts social, scientific and public policy research that promotes Alaska Native arts, cultures, history and education statewide. 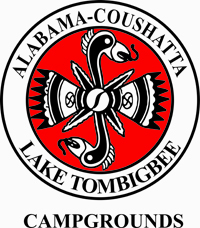 The institute is governed by a Board of Trustees and guided by a Council of Traditional Scholars, a Native Artist Committee and a Southeast Regional Language Committee. Come Discover South Dakota’s Great Faces and Great Places. With a variety of things to do—from Mount Rushmore and the Black Hills to the Missouri River and rolling prairies, and plenty of stops in between. They have world-class outdoor adventures like hunting, fishing, rock climbing, spelunking, sailing, kayaking, hiking, horseback riding, scenic driving, camping and so much more. For more information please visit their website below. The South Dakota Office of Tribal Relations with the nine tribes that share geographical borders with the State. The Office works to support the tribes self-governance efforts in a cooperative government to government relationship in order to improve the quality of life for all South Dakota citizens. They identify, develop and/or coordinate federal state and local resources to increase partnerships between state and tribal agencies, including the Governor’s Office of Economic Development and Travel South Dakota. The Office publishes an informative newsletter that shares the latest news from the various departments of the State of South Dakota. 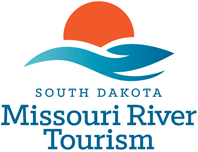 South Dakota Missouri River Tourism is a regional organization promoting “river tourism” along the Mighty Mo in South Dakota from the ND border to the borders of IA/NE. Culture and history, hunting/fishing, outdoor recreation, birding, and hiking abound in this Central South Dakota region. Explore the Native American Scenic Byway that follows the river and meanders through five Indian Reservations. Visit museums both large and small, depicting the history of the state and areas along the river. Consider yourself invited! WELCOME! For additional information visit our website below. Tourism Cares is the charitable community of the travel and tourism industry and helps advance the industry’s social impact to help people and places thrive. We unite the industry to make a greater impact on shared priorities, and to help each company fulfill its giving goals. Our members include leading travel associations and companies, together helping destinations in need, supporting our workforce, and improving our corporate social responsibility. Western National Parks Association is a nonprofit cooperating association of the National Park Service. 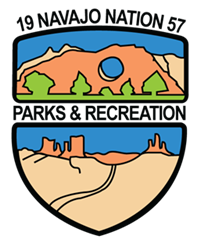 Headquartered in Tucson, Arizona, the association was founded in 1938 as the Southwest Monuments Association to support the interpretive activities of the National Park Service. Western National Parks Association supports parks by producing more than a half million pieces of free literature annually, including trail guides, newspapers, schedules, and brochures. For more information please visit their website below. The Woodland Indian Art Board is a community-based non-profit organization created to expand the awareness and appreciation of Woodland Indian Arts and Culture through education, events and markets. They bring Woodland Indian Artists together to raise awareness of the distinct artistic styles and cultures of upper Midwest and northeastern regions of United States and Canada. They contribute to the growing economy with sales for their art work. WIAB operates within the Oneida Nation in Wisconsin Reservation. The organization has been produced an annual Show and Market for more than eight consecutive years. Events educate the public about the unique culture and history of the artists and include classes, silent auction, youth art show, juried art competition and music performances. 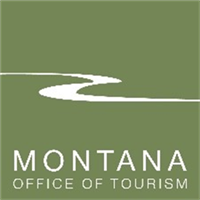 The Wyoming Office of Tourism (WOT) is the agency charged with bringing non-resident visitors to Wyoming by promoting the state as a vacation destination to both domestic and international audiences. Wyoming’s landscapes, wildlife and recreational opportunities are what brings people to the state. For more information please visit their website below. The Wind River Visitors Council is a Lodging Tax Board responsible for promoting the travel and tourism industry in Fremont County. Through support from lodging taxes, The Visitors stimulates tourism by increasing awareness of, and encouraging visitation to, the unique destinations, activities and events in Wind River Country. Free vacation packet can help visitors plan their visit to Wyoming’s Wind River Country.